Yes, through the Medicare Advantage, your travels outside of the United States are covered as well. As Medicare has been around for many years now, its services are also continuously improving. 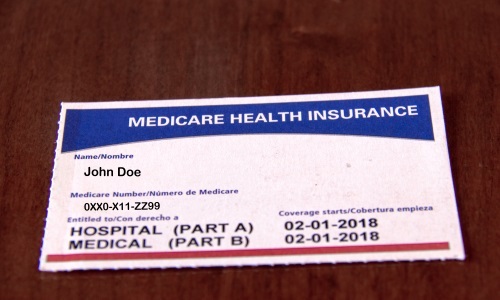 Part of this improvement and expansion is through the Medicare Advantage and through Medicare Part G. This is merely an add-on to your original Medicare plan, which you will only need to pay for with a very minimal amount. With the Medicare Advantage, your travels outside the United States are covered as well, for emergency problems. This coverage has a lifetime ceiling of 50,000 USD. Yes, it does cover dental and vision problems. Dental procedures are only included if they form part of an emergency dental procedure while you are in the hospital. Eye procedures are only covered if they are serious vision problems, such as glaucoma; minor issues such as eyeglass prescriptions are not included. Yes, you can get help at any time of the day. Yes, each part of Medicare covers an exhaustive list. Yes, you are getting so much more than what you are paying for. Despite its numerous advantages, there are still those who are doubtful about the benefits that they can gain from Medicare. It is often the misconception that you are paying so much more than the amount you receive in benefits. However, this is false. The benefits that you gain from Medicare are, in reality, so much more than what you are paying for. Over the coming years, these rates are even expected to increase even more. For example, senior citizens may pay a total of 65,000 USD in their lifetime for Medicare. However, the benefits that they gain with health can go as high as 180,000 to 200,000 USD. Yes, you have extensive access to doctors that can help you out. Every year, the doctors that are associated with or are connected to Medicare are increasing. Hence, even if you have to rely on this insurance provider to cater to your health and medical needs, you do not have to worry about losing access to quality doctors, or only having a limited network. With your Medicare plan, you can approach any doctor and seek the services of any facility that is associated with the same. All you have to do is check with your local state Medicare office about this matter. Did you know, too, that in most cases, through Medicare, you would no longer need a referral to see a specialist? Now you know. Medicare can be likened to the Social Security Program, which is like an entitlement program. For as long as you have been employed, and have been paying your taxes, then you have the right to enroll for this program. Think of Medicare as a part of your retirement plan, for when that time comes. Remember that healthcare is expensive; hence, it is essential for you to put a premium on ensuring the same. Even additionally, Medicare continues to improve, as it has constantly done over the years, thanks to the help and advancements in technology.